Amazon Echo is a hands free speaker that is controlled by your voice. Echo answers to the name Alexa, and plays music, reads audiobooks aloud, gives headlines, and does so much more. But, is one of Alexa’s “skills” the ability to help solve a murder? This question is being asked in connection with a murder investigation in Bentonville, Arkansas. Police have issued a warrant asking Amazon to produce the transcripts, voice recordings, and other information that an Echo speaker may have recorded the night of the murder. But, the chances of Alexa being helpful in solving the murder are slim. This is because Echo is not recording everything that you say in your home. Instead, the Echo is listening for “hot words” like the word “Alexa.” While the Echo’s microphone is always on, only upon hearing the word “Alexa” does the device begin recording for the amount of time it would take to make a request, and then it sends that audio to Amazon. These recordings are then stored “until the user deletes them through the Echo smartphone app or on Amazon’s website.” The user knows when Echo is sending audio for Amazon to store because the ring on top of the Echo illuminates and turns blue. The Fourth Amendment provides people the right “to be secure in their persons, houses, papers, and effects, against unreasonable searches and seizures.” In order to assert a claim under the Fourth Amendment, you must have a “reasonable expectation of privacy, which contains both an objective standpoint and a subjective standpoint.” On one hand, the argument can be made that there is a reasonable expectation of privacy because even though one chooses to put this technology in their home, they are not necessarily consenting to having their private conversations broadcasted to the world. However, in Smith v. Maryland, the Supreme Court held that “a person has no legitimate expectation of privacy in information he voluntarily turns over to third parties.” Therefore, since the Alexa requests are sent to Amazon (a third party), it may also be argued that one does not have a reasonable expectation of privacy when it comes to these recordings. While it is unclear how the courts will deal with the privacy issues that smart devices with always on microphones like Alexa pose, there are avenues for purchasers of these devices to protect themselves. In addition to deleting the recordings in the Alexa app, users are also able to turn off the microphone on the device, by pushing “the microphone button on top of the Echo” and then waiting for the button and the ring to “illuminate bright red to let you know it is not listening.” But, until the answer to the privacy level question for these devices has been determined by courts, turning off the microphone when not in use and deleting requests from the app is probably the safest avenue for purchasers of Alexa to protect their privacy. See Amazon Echo – Black, Amazon, https://www.amazon.com/Amazon-Echo-Bluetooth-Speaker-with-WiFi-Alexa/dp/B00X4WHP5E (last visited Feb. 8, 2017). See James Kendrick, How to Use the Amazon Echo and Why You Should Get One, Mobile News (Feb. 9, 2016), http://www.zdnet.com/article/how-to-use-the-amazon-echo-and-why-you-should-get-one/. See Jake Swearingen, Can an Amazon Echo Testify Against You?, N.Y. Mag. (Dec. 27, 2016), http://nymag.com/selectall/2016/12/can-an-amazon-echo-testify-against-you.html. See Janko Roettgers, Relax: Your Amazon Echo Isn’t Recording Everything You Say, Boston Herald (Dec. 28, 2016), http://www.bostonherald.com/business/technology/2016/12/relax_your_amazon_echo_isnt_recording_everything_you_say. See Times Editorial Board, The Smart Home Has Ears, And it Can’t Keep a Secret, L.A. Times (Jan. 4, 2017), http://www.latimes.com/opinion/editorials/la-ed-amazon-echo-surveillance-20170104-story.html. Times Editorial Board, supra note 7. See Tony Bradley, How Amazon Echo Users Can Control Privacy, Forbes (Jan. 5, 2017), http://www.forbes.com/sites/tonybradley/2017/01/05/alexa-is-listening-but-amazon-values-privacy-and-gives-you-control/#2550510e5eed. 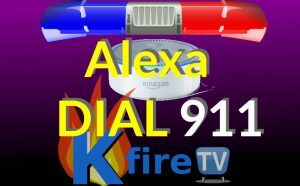 See CNN Wire, Data Recorded on Voice-Activated Amazon Echo Sought by Prosecutor in Arkansas Murder Trial, KLTA (Dec. 28, 2016), http://ktla.com/2016/12/28/data-on-amazon-echo-sought-by-prosecutor-in-arkansas-murder-trial/. See Roettgers, supra note 4. See Amy Wang, Can Alexa Help Solve a Murder? Police Think So – But Amazon Won’t Give Up Her Data, Wash. Post (Dec. 28, 2016), https://www.washingtonpost.com/news/the-switch/wp/2016/12/28/can-alexa-help-solve-a-murder-police-think-so-but-amazon-wont-give-up-her-data/?utm_term=.cd95df5221fd. Andrew L. Rossow, Amazon Echo May Be Sending Its Sound Waves into the Courtroom As Out First ‘Smart Witness’, Huff. Post (Dec. 29, 2016) http://www.huffingtonpost.com/entry/amazons-echo-may-be-sending-its-sound-waves-into-the_us_58656ceae4b04d7df167d377. Smith v. Maryland, 442 U.S. 735, 743-44 (1979).